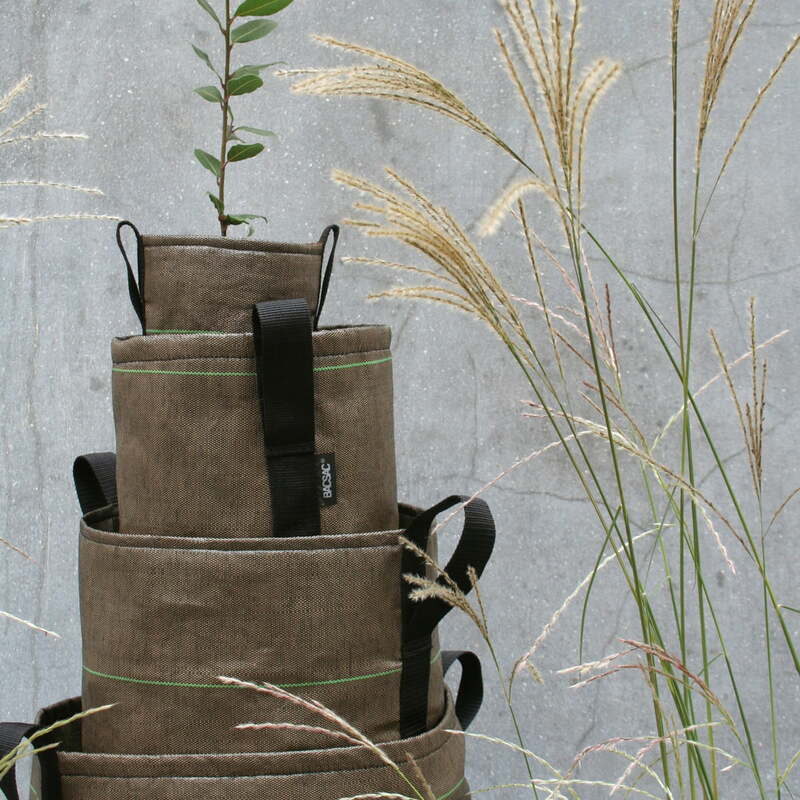 'Nature is in the bag' is the motto of French company Bacsac. 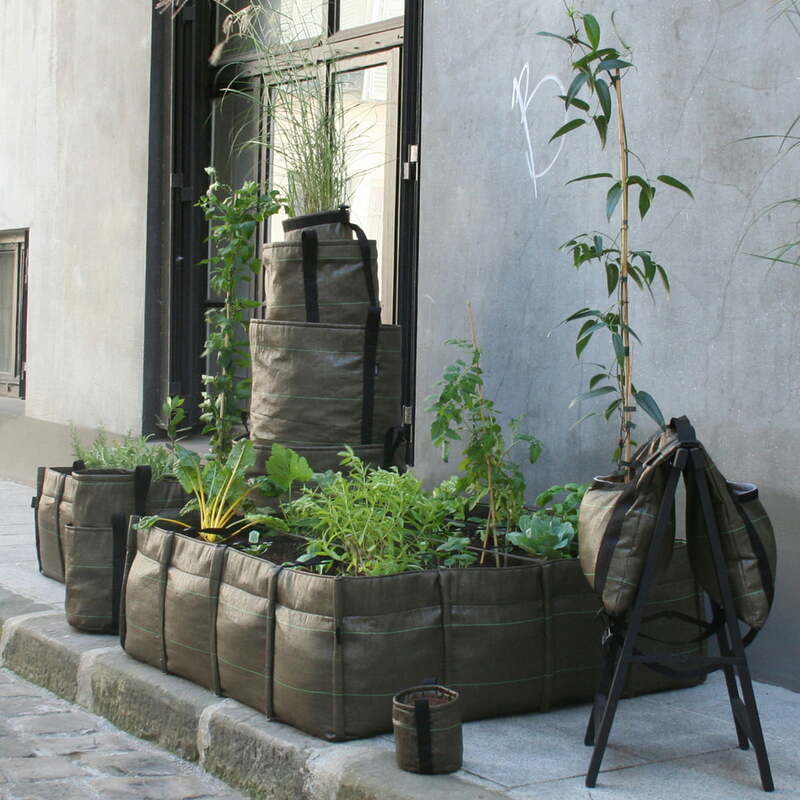 The guiding motto is not just a simple slogan but much more: it is a programme that enables the creation of gardens on small balconies or slim terraces. 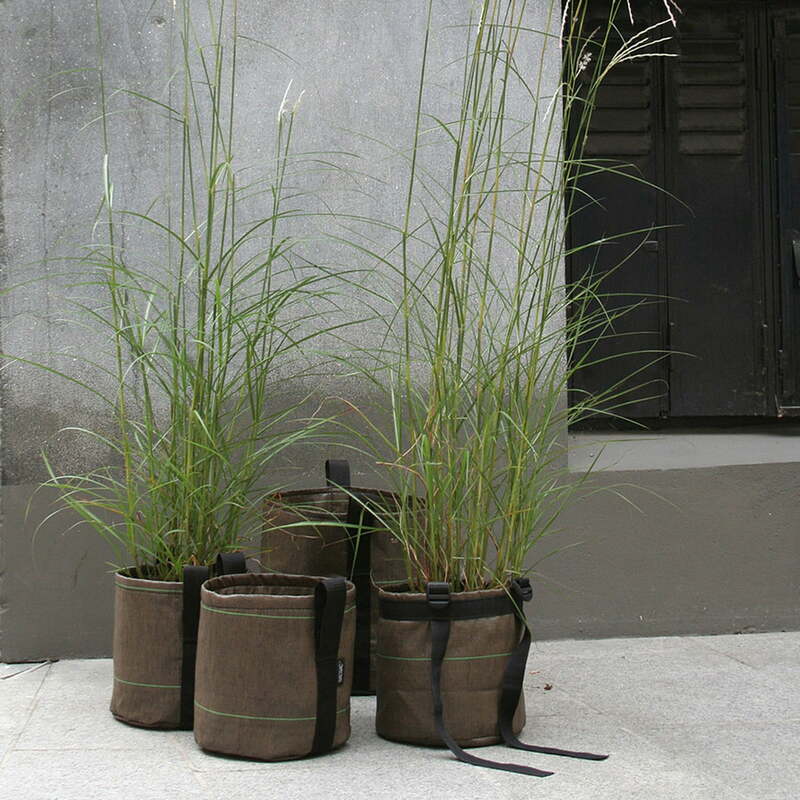 The designer, Godefroy de Viriou, and the landscape gardeners Louis de Fleurieu and Virgile Desirmont created a collection of plant bags for this that consist of 100% recyclable geo-textiles; airy and waterproof as well as UV and frost-resistant. The Bacsac plant bags are, furthermore, extremely weightless and easily transported to every roof terrace, in contrast to heavy plant buckets. 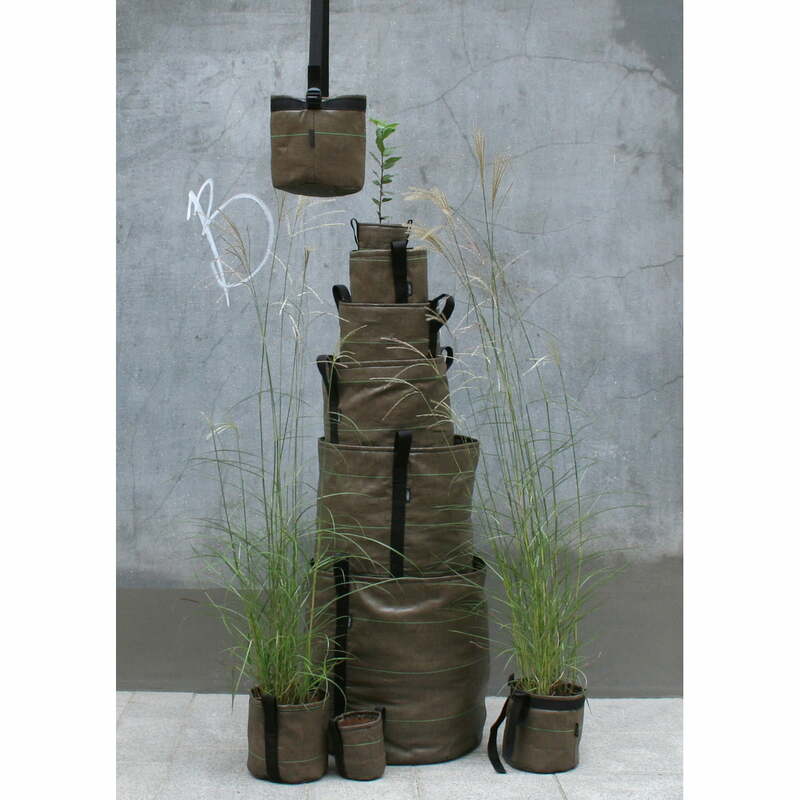 The Pot plant bag from Bacsac recreates a classical plant pot with its cylindrical shape. 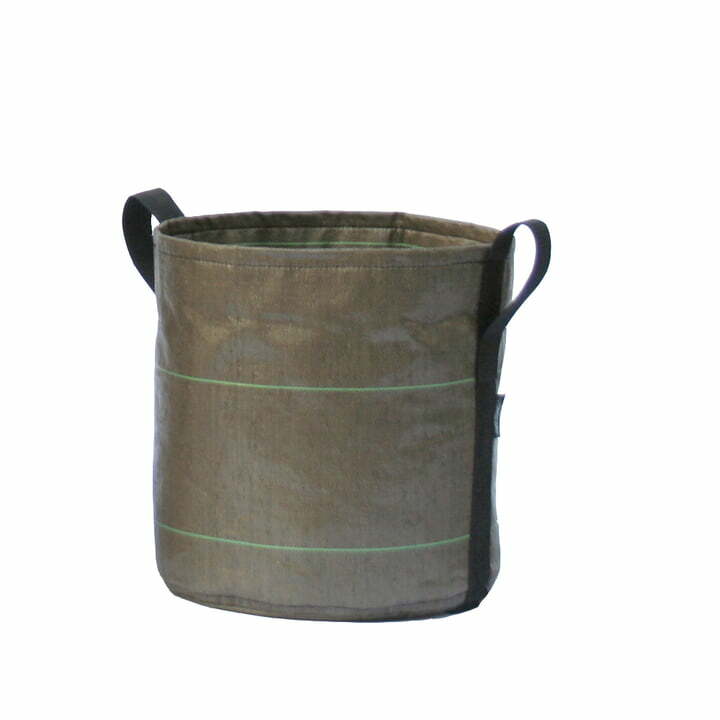 The Pot plant bags are available in five sizes from a small 3 litre bag, to 10 L, 50 L and up to enormous 100 litre bags where small apple trees also sometimes find a place. Bought a number of these to use in a grouping. 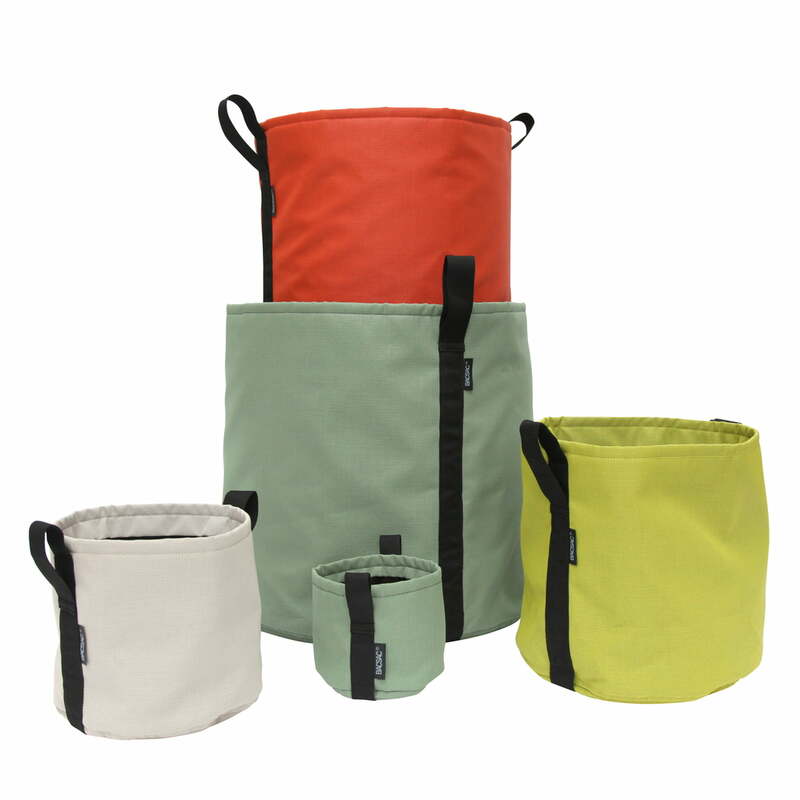 Works well but make sure you use them outside only as they do leak. Possibly a tad expensive but these are easy to handle and move around. ... however, probably on the slightly too expensive side.